Meet Samsung Gear Sport - Tizen powered athletics focused Smartwatch? Home / features / samsung / wearables / Meet Samsung Gear Sport - Tizen powered athletics focused Smartwatch? After using Tizen OS for their wearables, Samsung has been making wearables that get better and better. Will the athletics focused Gear Sport be the one? 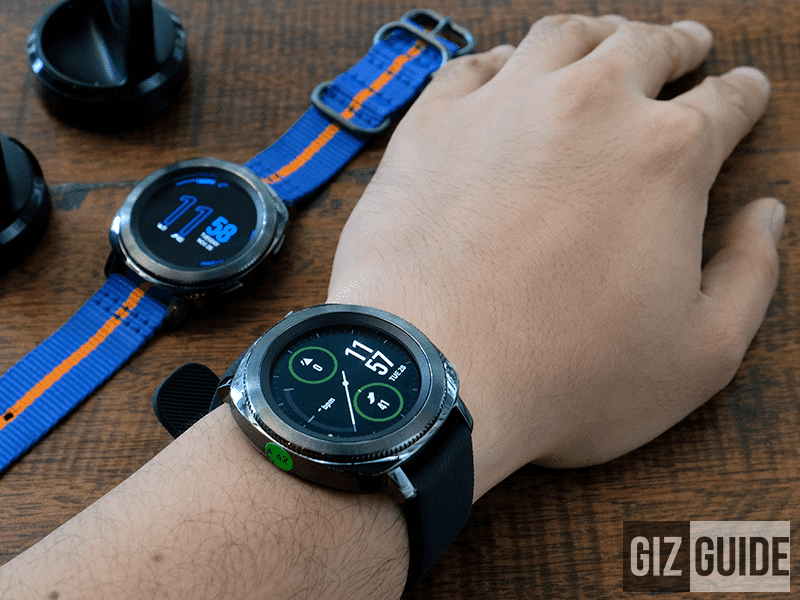 Several years ago, Samsung switched from Android Wear to Tizen OS for their smart wearables. At the time, it looked like a disaster waiting to happen. Years later, it was in a way, a success. This resulted in better design, better battery life, better efficiency and better integration with the Samsung ecosystem. Samsung made the right call. And here we are with their latest, the Samsung Gear Sport. It comes the now standard textured matte black box that Samsung has been using in recent years. It does have bright accent colors from the watch faces that the new Gear Sport is rockin'. Inside the box are the documentation, the smartwatch, a shorter strap (for people who find the standard strap too long), wall charger and charging dock. Each of the accessories are made with the premium polycarbonate materials that Samsung has been using for years. This makes them solid and lightweight at the same time. My only gripe is that the wire on the wall charger is thin. It would be better if it was thicker and better reinforced parts on the stress points on the wire to avoid it from fraying. Water Resistant and with Heart rate monitor! Strap buckles are so nice! The straps are removable and the watch body is compatible with any 20mm watch strap. 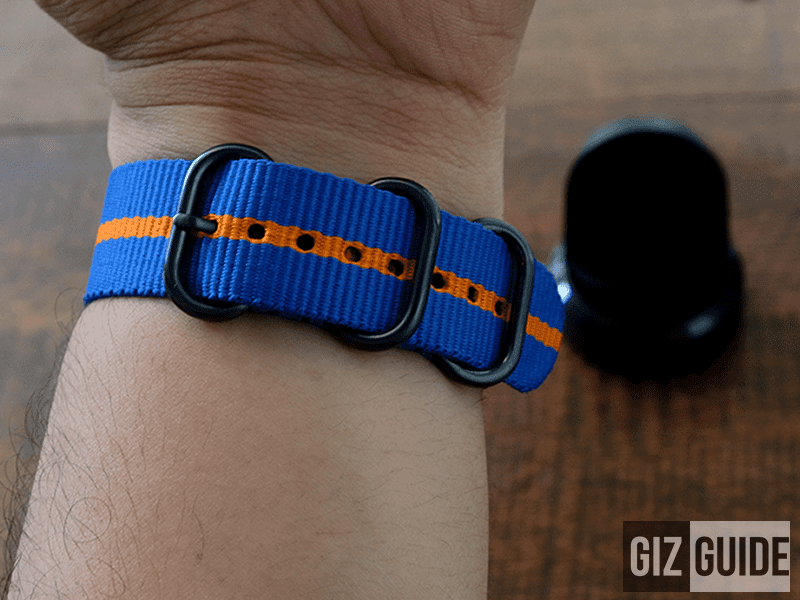 So you can add your own prefered strap if you wanted to. The watch body and face is beautiful. It is made of polished metal that surprisingly isn't too much of a fingerprint magnet. The crown is made of metal. Like the rest of the Samsung's smartwatch of late, the crown is rotatable and is a main way of interacting and controlling the device. It also has two buttons on the right side of the watch face that serves as back button and a home button. Because of its focus with Athletics, Samsung chose to design the Gear Sport to be water resistant. It won't work for deep diving but it is meant to survive a short time under shallow waters. It is also resistant to the copious amount of sweat you'll be pouring on to it during and after a long workout. What I love about the Gear smartwatch series is the integration with the Samsung Gear App. It is easy to pair and set-up. All you have to do is to download the Samsung Gear app on your phone and turn on bluetooth on your phone and on your Samsung Gear. There are some personal information and security forms that you have to pass through but it's basically seamless. 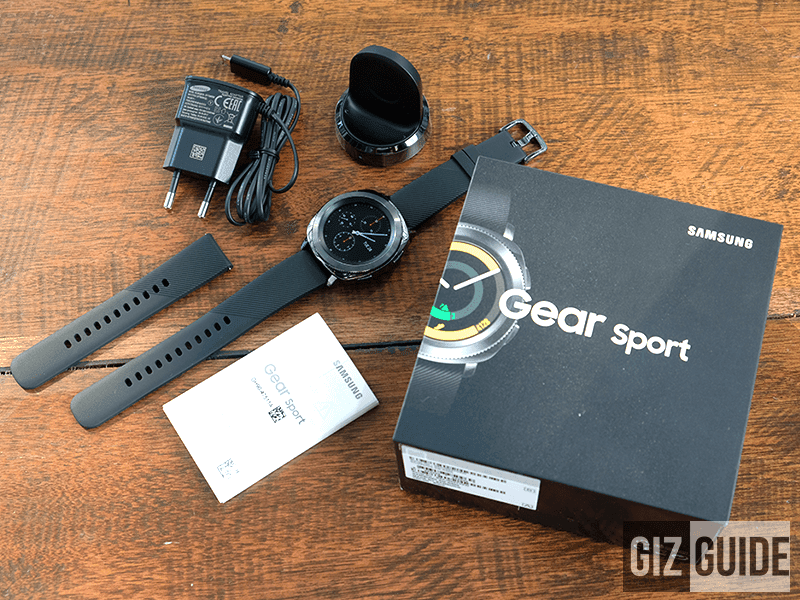 We didn't experience the issue we did with the Gear S2 where we had to use a VPN to set up the Gear Sport. Once paired, software updates will start and after this, your Gear is ready to go for you to set up. You can arrange the sequence of widgets and apps in succession. You can download in the Samsung Gear store for added apps and watch faces. Some are paid and some are free. The collection is okay. I stuck with the stock watch faces though. 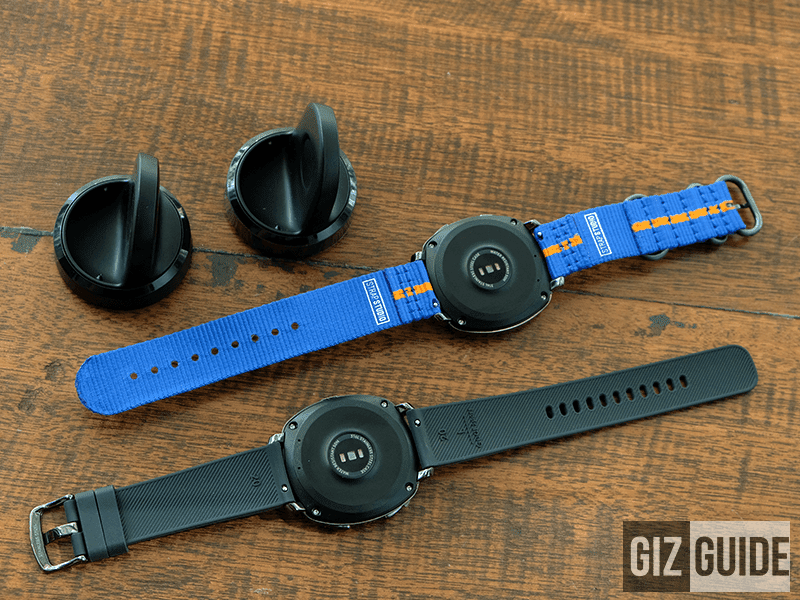 The Gear Sport has several features that are focused on Athletics like biometric sensors, accelerometers, gyroscope, barometer and heart rate monitors. Each work in conjunction with each other to measure your biometrics, your steps, your speed and your elevation. The heart rate monitor, pedometer and accelerometer in our experience worked remarkably well. We never experienced any mistakes in measurement. It is worth noting though that when you move your arm a certain way, it sometimes count it as a step. It happened very rarely though. One other gripe we had with the sensors is the elevation sensor where in I would find myself climbing several flights of stairs but the watch would only detect that I went up one floor where in fact I went up 4 floors. It also features a water lock mode where it would turn off the touch screen so that when you will be doing an aquatic activity, the water won't misread the water for touch input. In the App store, you can download apps to add functionality but we only really got the Spotify app to be able to save tracks and/or control our spotify playlist from our wrist without taking our phone off our pockets. There is a battery saving mode that turns off most smart apps and just leaves the simple watch face for time and only allow notifications for calls and messages only. Everything is turned off. This effectively makes the battery last longer than three (3) days. This is impressive because on a normal day where we use the watch as our time piece, spotify control, and for workout metrics. The battery would last for more or less 36 hours or a day and a half. 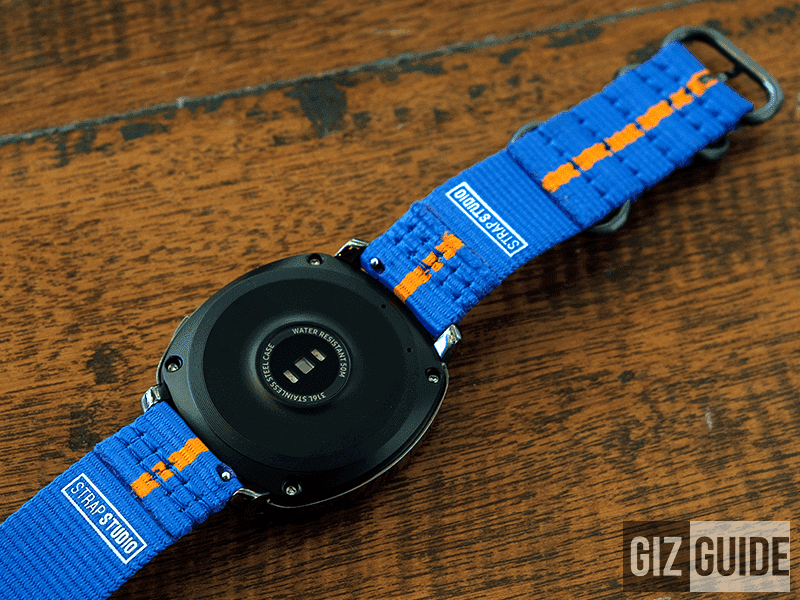 Take this with a grain of salt as some other smartwatches can last for a longer time. This is better than most Android Wear devices though. Charging time for zero (0) percent to a hundred (100) percent takes under 120 minutes or under two (2) hours. The experience is great! Though we get that this smartwatch isn't for everyone. Wearables haven't hit total mainstream status but they do appeal to some people. 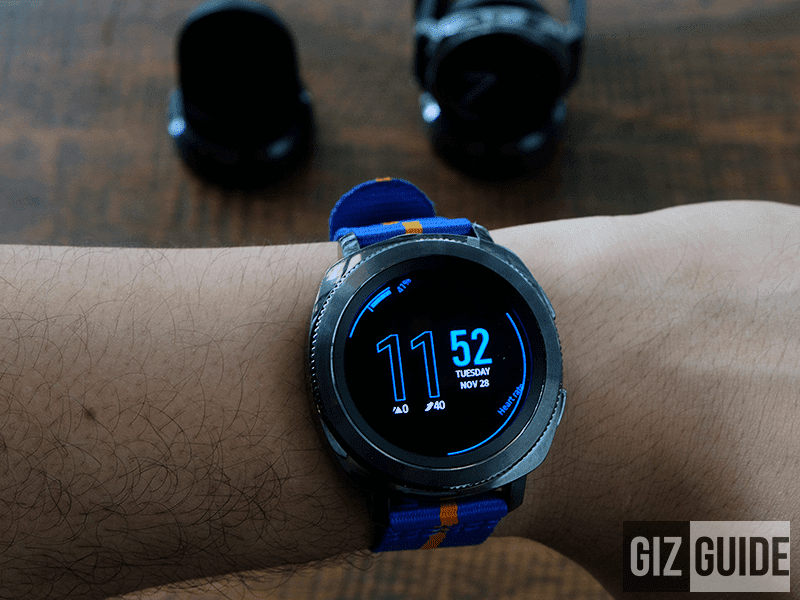 The progress of Samsung from its early beginnings have bore fruit and this is one of the most refined smartwatch we've seen so far. We love being able to read our notifications and being able to control our Spotify from our wrist without taking our phones out. There are some improvements with measurements but these are improved overtime and via software updates. The tech is promising and it will get to a point where it perfects them. So if you want to wait till then, you can but if you need to be able to measure your workout routines and access your notifications without pulling your phone from your pocket, then this isn't a bad way to go!